Davao City once again made headlines with the recent amendment of the liquor ban just two months after the comprehensive anti-smoking ordinance was signed. With all these restrictions, the question looming in every Davaoeno partyphile’s mind is, is there room for any fun in this town? Apo View Hotel’s Blue Room invites you to fight for your right to party with Prohibition Saturdays, a weekly soiree featuring the city’s finest indie bands, guest DJ’s, and special offers on cocktails, shots and beers. Kicking off the first of this Saturday series on August 10 is a 1920’s-themed launch event. Come in your best gangster or flapper ensembles and enjoy the music of Kwatro Medya, The Sound of Go, and a DJ set by Cheekie Albay of Hiphouse. The event is absolutely free. In fact, Blue Room is giving away a lot of freebies to celebrate the launch, such as free drinks for early birds who come before 9:00 PM, free shots for ladies who come before 10:00 PM, and gift certificates for the best dressed, so be sure to come in your best 1920’s outfits. The Prohibition era in 1920’s was a particularly interesting time in American history, especially in terms of music, fashion, and partying. Some would say the same can be said about Davao these days, but hey, let’s not go there. Let’s just say Prohibition Saturdays is an avenue for the party-loving crowd to enjoy good music, classic cocktails, and have a roaring good time. Special promos on drinks are also offered every Saturday, such as 50% off on selected cocktails for the ladies, local beers are only P50, Margarita pitchers go for P500, and buy-one-get-one on tequila shots the whole night. Blue Room is located at the ground floor of Apo View Hotel, an iconic local landmark in Davao City with a history spanning 65 years. 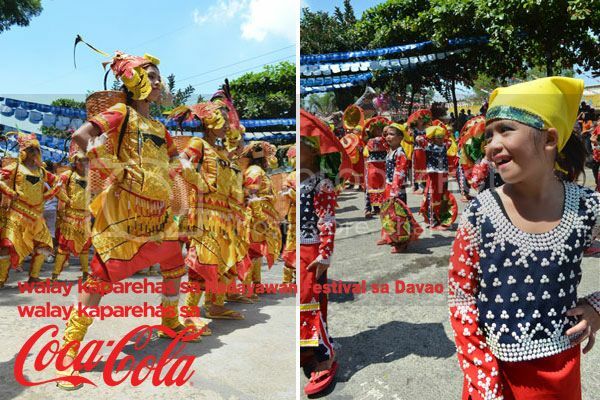 Celebrating its strong presence in the region, Globe Telecom is extending a special and exclusive offer to its subscribers in Davao as part of the Kadayawan Festival, Davao’s biggest annual festival that celebrates life, culture and thanksgiving. From August 1 to 15, 2013, all Davaoenos who avail of a Cloudfone 352g and Cloudpad bundle FREE at Plan 499 with the Best-Ever mySUPERPLAN will get a chance to win an exclusive Meet and Greet session with one of today’s hottest heartthrobs and Cloudfone endorser Xian Lim. Apart from the phone and tablet bundle, subscribers can choose from other Cloudfone handsets bundled with a Globe postpaid plan. All a subscriber needs to do is to go to any of the participating Globe Davao Stores in Ayala Abreeza, SM City Davao, SM Lanang Premier or Gaisano Mall Davao, apply for a Best-Ever mySUPERPLAN with a Cloudfone of his/her choice, and wait for the approval of the postpaid plan application. Each approved postpaid application will allow the subscriber to pick a prize such as the Meet and Greet Session with Xian Lim as grand prize, Xian Lim’s autographed “It’s So You” CDs as major prizes, and Globe premium items as minor prizes. Eighty (80) grand prize winners or twenty (20) winners per participating Globe Store will have the privilege to meet Xian up close and personal. Meanwhile, there will be forty (40) winners of the limited edition autographed CDs and one hundred (100) winners of Globe premium items. 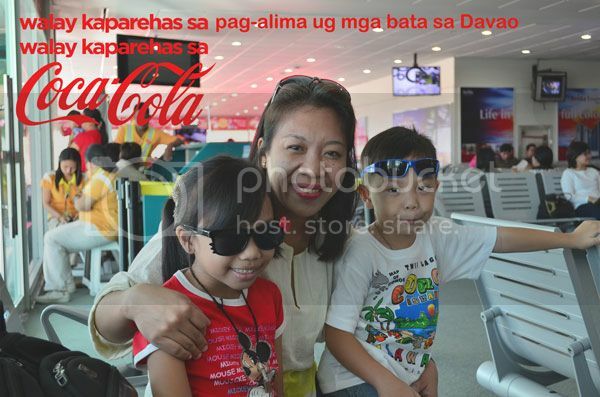 The popular actor, singer and model will fly to Davao on August 18, 2013 to celebrate the Kadayawan Festival with Davaoenos and will visit the four (4) participating Globe Stores in the region to meet the lucky winners of the promo. When I got married in 1999, I was at some point certain I can be a good wife but I wasn’t really sure whether I can be a good mother or we can be good parents. I understand parenthood is something that involves enormous amount of sacrifice, sensible amount of money, an undivided attention, much of our time, emotional energy and a good working social and cultural environment to make this discourse work. Just like any typical parent who wants nothing but the best for their children we did consider migrating to other country whose incidence to positive child-rearing was high. We have overflowing points at that time to qualify for migration being my husband a computer programmer and me, a teacher, but we forego of the opportunity after my father-in-law died and after lengthy family matter considerations. 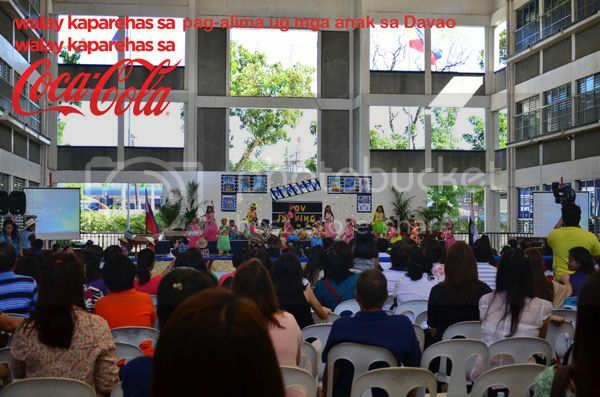 Shortly after we’ve pronounced our decision, Davao City bagged the Most Child-Friendly City in the Philippines. I wasn’t surprised because ever since the Children’s Welfare Code of 1994 was passed, the local government of this city has been working to champion the cause of the children. It’s actually a long overdue recognition and it was well worth it, the city was awarded not once, twice but thrice this year as a Most Child-Friendly City in the country, we then decided - let’s just stay home and raise our kids here. 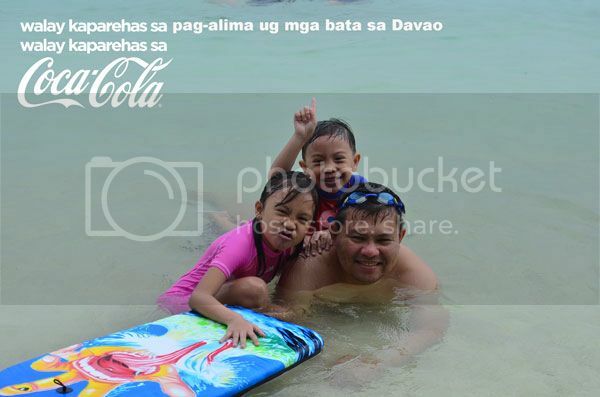 I’d like to believe that we’ve made a good decision to stay and raise our kids here, as Davao City has provided us the infrastructure to upholding the rights of our children and has given us an overwhelming opportunity of work so we can steward them to become good and productive citizens of this country. 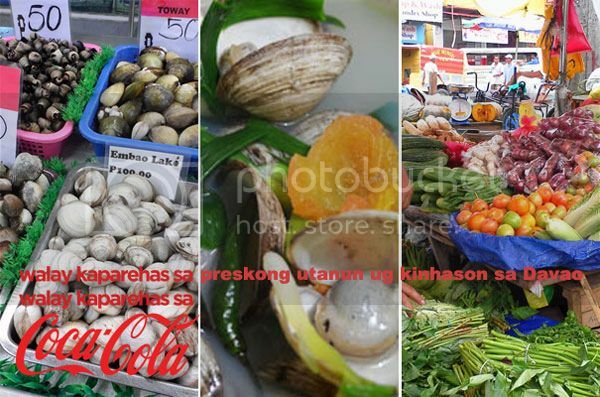 Vital to children’s growth and development is their health and nutrition and providing varied nutritious food to my children posed no problem at all, Davao City markets are blessed to have the freshest fruits, vegetables, sea foods and other meat products that are so affordable every parent of all stature can afford, there is no reason for a growing child in this city to be less nourished. This factor is further enhanced by the passing of the landmark law, Comprehensive Anti-Smoking Ordinance in 2002, this gained Davao City various citations from all over the world being the first 100-percent smoke-free metropolitan in Southeast Asia and no one I think will disagree that a smoke-free environment is imperative to growing healthy and well children, not to mention it’s the cleanest and greenest city in the country. Education is a prime factor to raising dynamic children. Davao City hosts a number of high-performing schools in the country, not to mention they’re just minute-drive away from our homes. We also have a lot of educational facilities and activities that promote culture, arts, entertainment and sports in the city – Special mention the two museums - Museo Dabawenyo, Museum of Davao in Insular Village which my kids frequent, Cinematheque Davao, which after knowing they can watch movie for free, have been whining to come over and over again, and who can’t miss out our Kadayawan Festival which is a very rich venue for our growing children to catch sight of our abounding and diverse cultural community unique only to our city. Experts say, all study and not play makes a kid dull. Oh well, as the recognition asserts that Davao City is the Most Child-Friendly City in the country, we have all the accessible social and vibrant economic infrastructures to settle this. Davao City is the only city in the country where you can enjoy life both the tranquility of the highlands, the bustling lights and sounds of the lowlands, the pristine beaches and white sand in just a day. Let’s start from the highlands, there are countless mountain resorts in the city today, your choice of accommodation and one of the places I bring my kids to chill out and allow them to shout their hearts out is Eden Nature Park, I find it a perfect place to wind down for children who’s now beginning to live with their iPads and HDTVs. It’s the best place to interact and see in flesh the real flying peacock, slide the rope and let them see a real deer grazing; it’s like a Science field trip and a week-end camp out rolled into one. But as parents it is our duty to process this, ‘God only knows’, yeah, safe answer I guess for someone who doesn’t know too what the answer is. But the other point is that we encourage creative and relaxed environment for their learning which is a very available resource in this city. The beach in the lowland is my kids’ ultimate city break destination; they can stay here like until forever. I tell you, my patience here is really tested to some crazy levels and to a point where you can’t do nothing anymore but Coke-chill yourself and finger-lick a sack of Cheetos while gluing your eyes on the water. 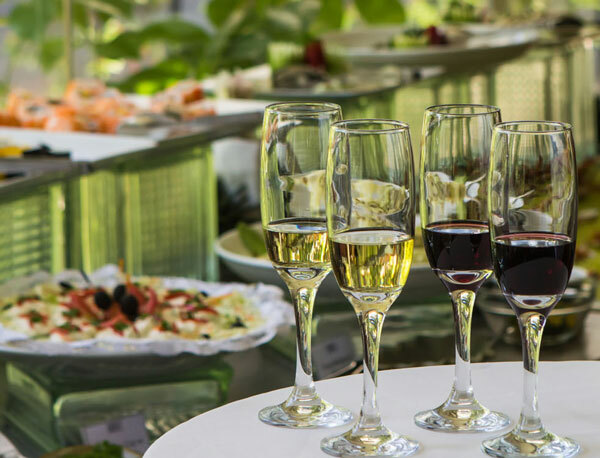 And on some tight occasions where there’s no time to prepare for the beach, there are countless inland resorts in the city where you can bring your kids to unwind. 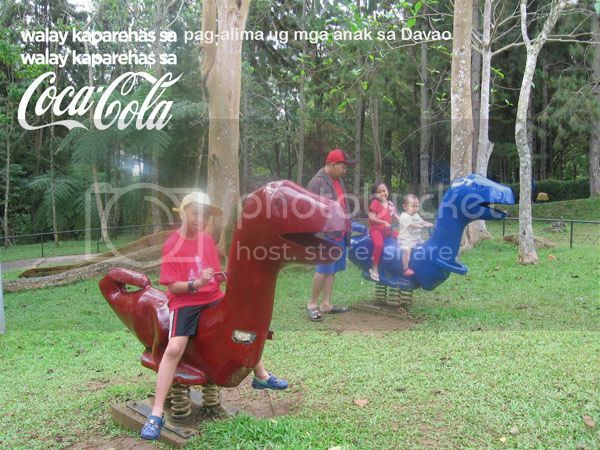 Davao City is also a convenient major hub to flying to other key cities in the country and the world; you can take your kids out of the city with no hassle at all, well, except for flight delays. Traveling does more to their learning than paying a tutor to learning Physics, how airplanes fly and an exciting adventure for them to learn how other people in other places live their lives. Nothing compares to listening to their stories about their trip while sending them to sleep. And all the more reason for me to work hard so I’ll have something for the next booking, geeeez! Vital to a person’s holistic development is establishing a core of their spirituality. 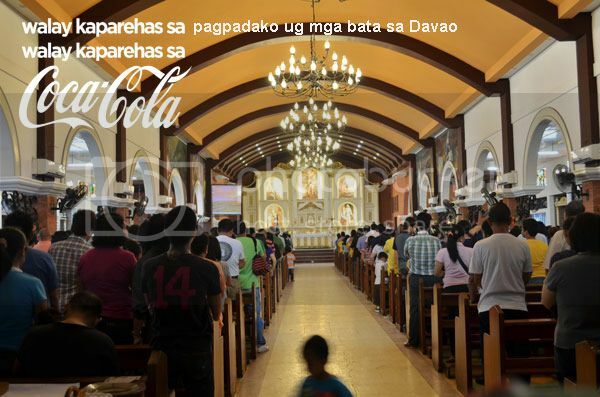 Davao City is a free and boundless city to practicing diverse religious activity. Parents with their children from all walks of life can practice their kind of religiosity in the city without being cuffed or fear of getting imprisoned, unless they go beyond what this city’s social more and law prescribed. My children grow up so fast and that they’re now finding a unique style of their own. My eldest son who is now in his 8th grade seldom go out with us anymore, not even in pictures, he’s now having a circle of his own – an adolescent stage where having a lot of mood swings and a lot of his social issues are being raised out. But I’m confident that with the values we seed in them that would be their guiding bough to bear good fruits in the future. I also would commend the efforts of the city authorities that worked so hard to free this city from illegal drugs that in so doing would save our youth from danger. I’m attesting to this common notion that raising children these days is harder than any parent could have thought easy before, but I bank on the idea that this social function can be as rewarding if parents will work hand-in-hand to raising compassionate children and who believe in the means of their government that works to uphold the rights of the children that works to provide a good quality environment to nurture their skills and talents which in the long run a productive and vital component to building a strong, solid yet benevolent nation. I understand that not all children in this city have the same, if I may say privileged circumstance as my children, but what is important is that we see the government of Davao City has worked to leaving a legacy of outmost optimism and a policy that upholds and protects the rights and brought in the torch of willpower to better the lives of every children in this city. I remember my mother once said to me, to teach my children 20 years before they were born. I’d like to believe we’re doing this now for the good of our children’s children. Commendation also goes to the vibrant corporate community of this city; they’ve provided opportunities to many parents and would-be ones that in return will have the means to raise their children. And at the end of the day, nothing beats a family that goes home to a happy, story-laughter-filled dinner nga gi-ubanan sa iced cold Coca-Cola. And as to my hesitations whether I can be good a parent? 15 years after, I found my parenting niche, just like the three-fold guiding principle of Coca-Cola to be innovative, I’m working on my parenting strategies as innovative as possible – a kind of raising children that is still anchored on the values and traditions of the past but keeping abreast with the development as to where this city and this country is heading. Another is to be creative. Creative parenting is not new to me; in fact, I just bought a double XL shirt as my creative ‘get-along shirt’ for my kids to settle their issues before they’ll raise it up to me. And lastly, focus. 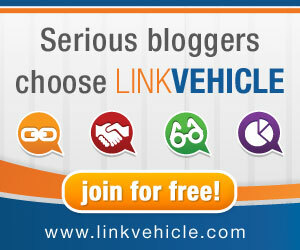 Just like Coca-Cola who works and focus on unique ideas that impacts the saturated marketplace, this lowly parent on the other hand works on eliminating distortions – gadgets, TV, etc. and trimming it down so we all can hit our targets and get it done. 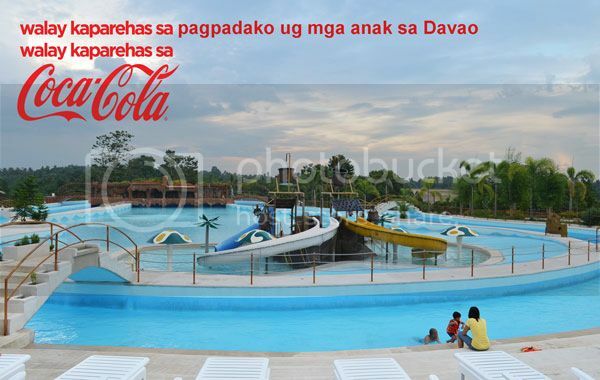 Nothing compares to raising children in Davao City, nothing compares to Coca-Cola, #WalayKaparehas.